Ferreting on a crisp frosty morning amongst the rolling meadows and winter orchards is surely some of the finest sport to be had in the English countryside. Learn a skill passed down through generations of countrymen in the picturesque Garden of England. Season: This course is available in the winter months (usually November – March) and offers the perfect introduction to a superb and very accessible field sport. Age: This course is not suitable for younger children. For a ferreting experience specifically for children with an accompanying adult click here. 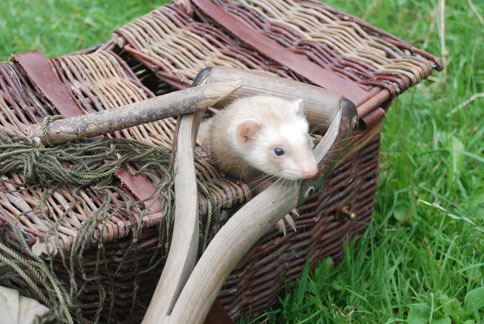 Read a published review of Michael’s ferreting course here. Booking: If you are interested in a course CLICK HERE to contact us for booking or just for more information.